At a wedding that I worked as a second shooter for in september they had this cake. 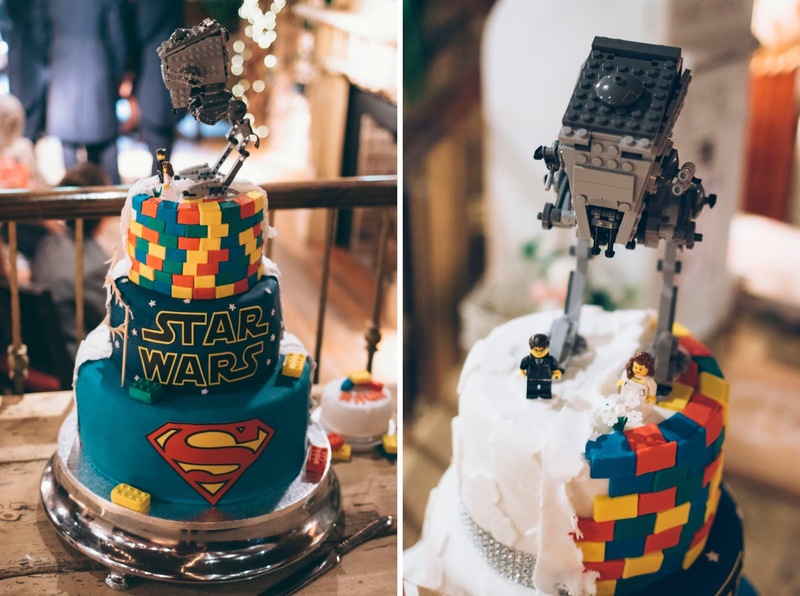 One side was white with flowers, while the other had logos from Lego, Star Wars and Superman and the figures on top were made of Lego. Such an individual idea, and embraces the traditional style of cake as well as adding their own twist to it.